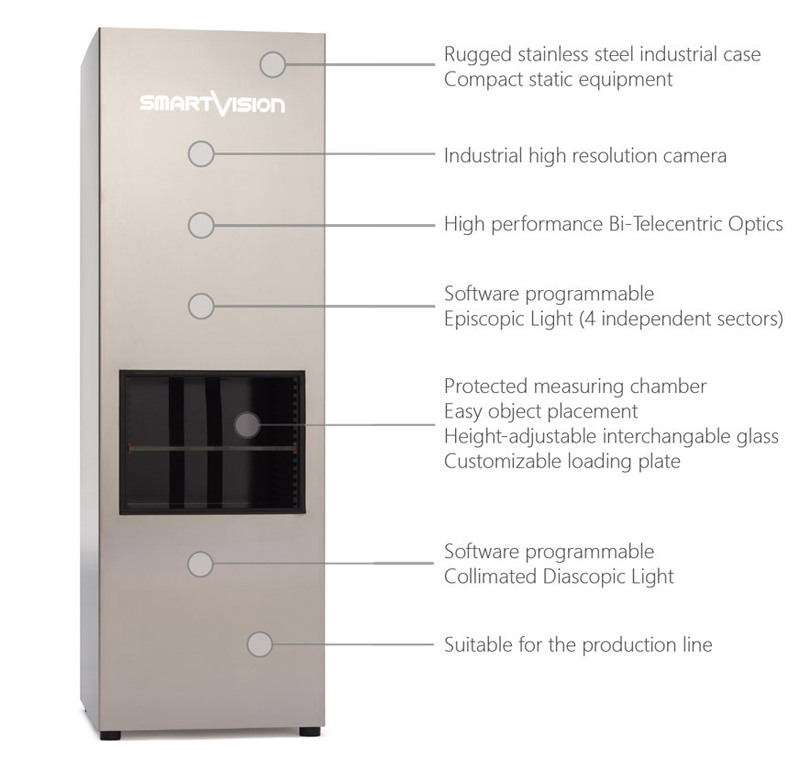 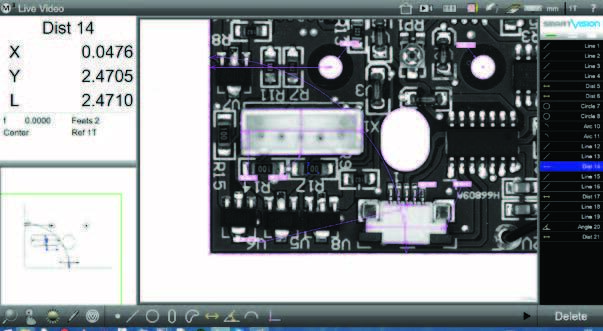 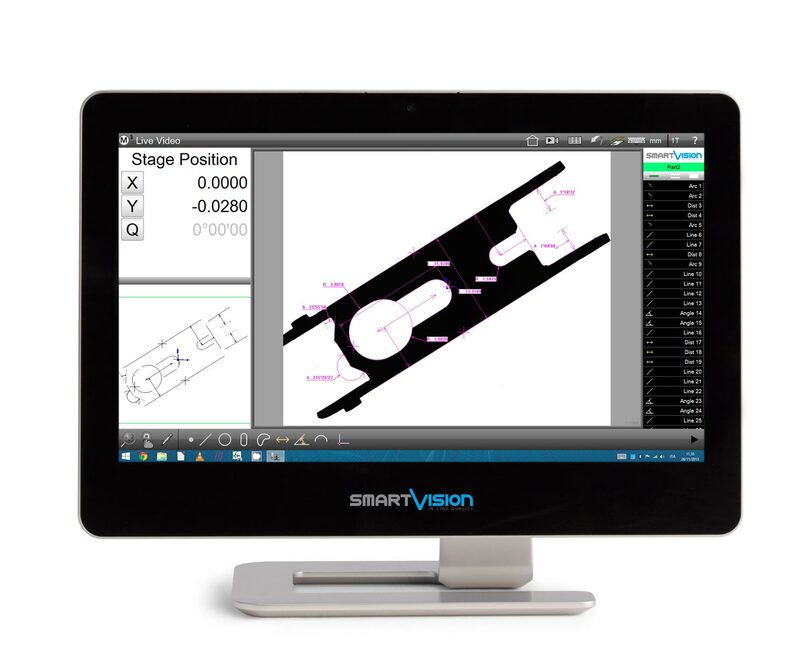 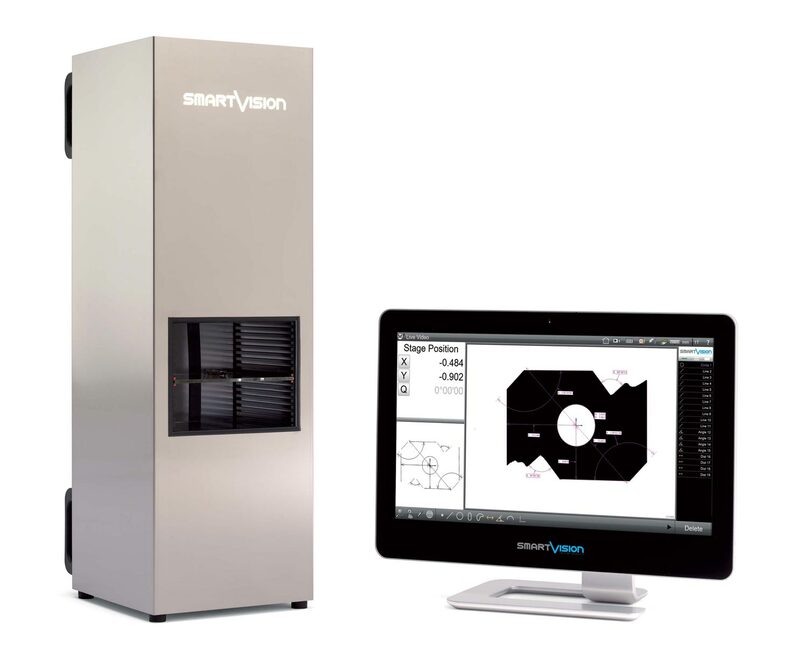 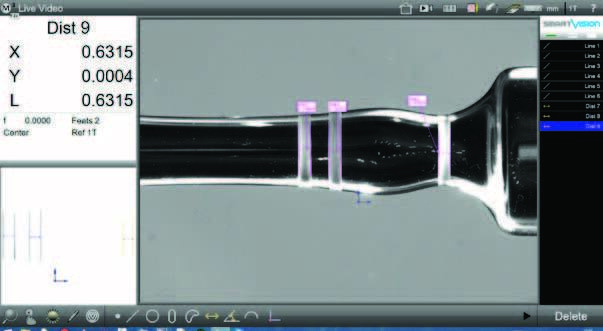 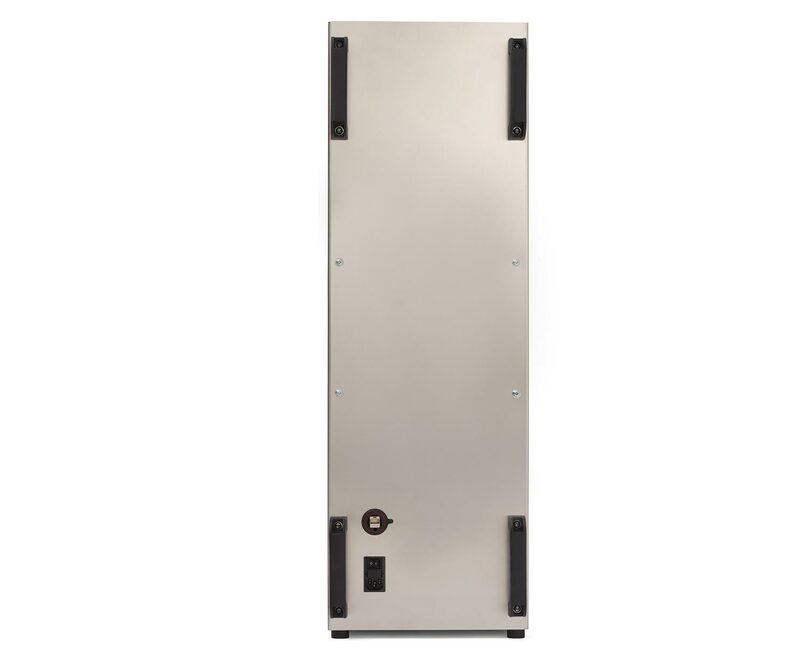 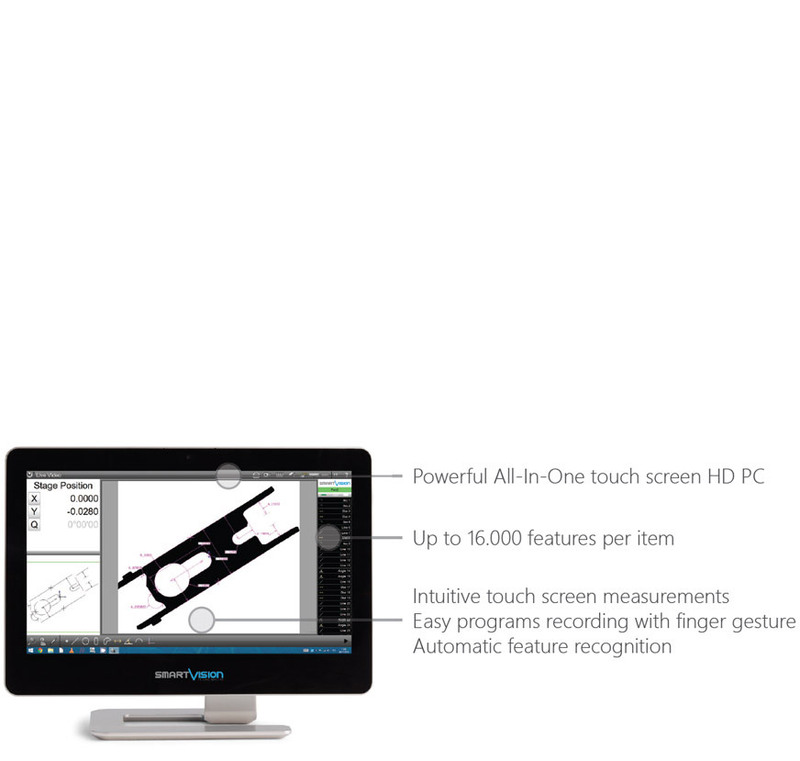 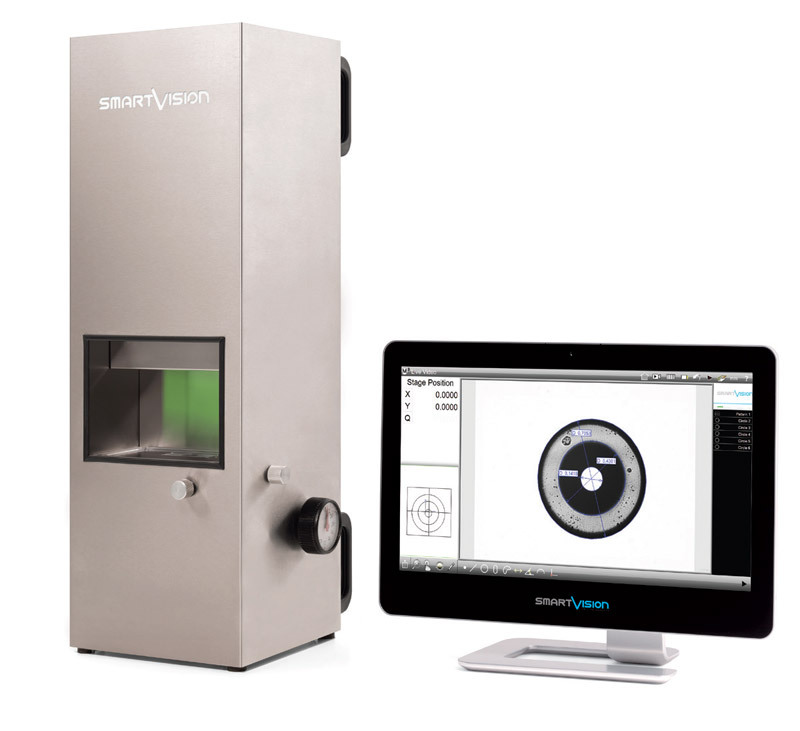 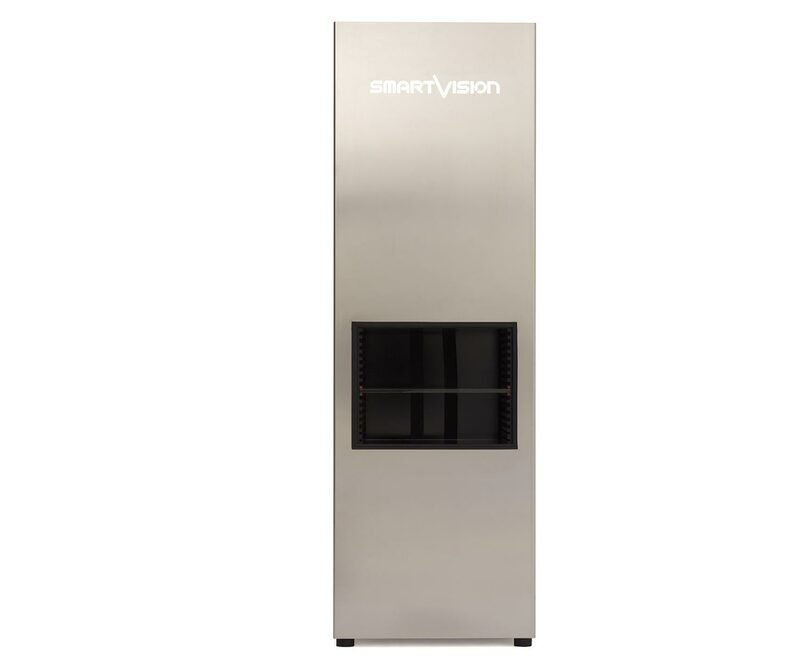 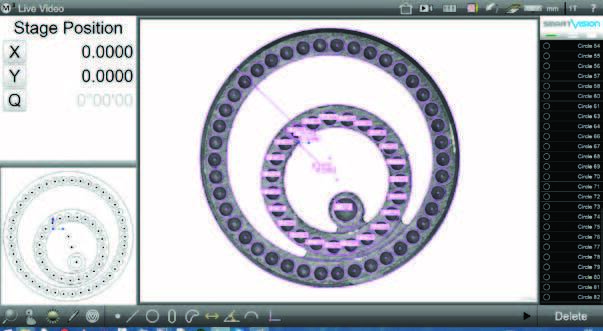 Smart_Projector by SmartVision is the first and unique instrument designed to perform a complete and automatic dimensional check of any part easily and fast. 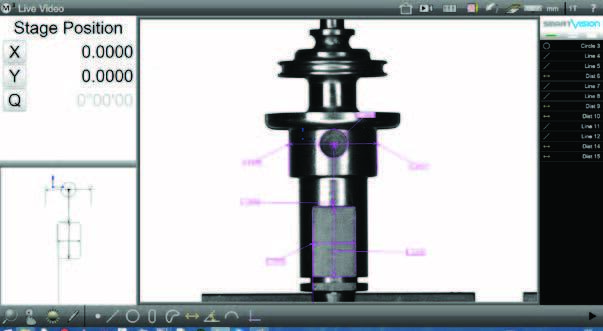 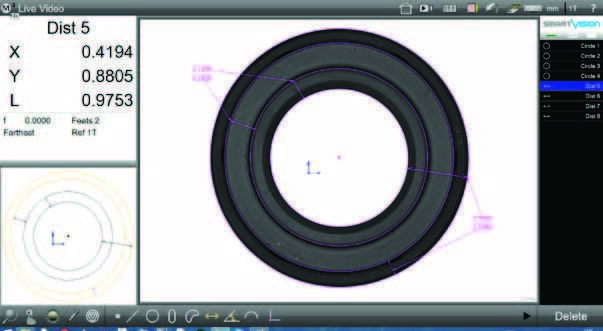 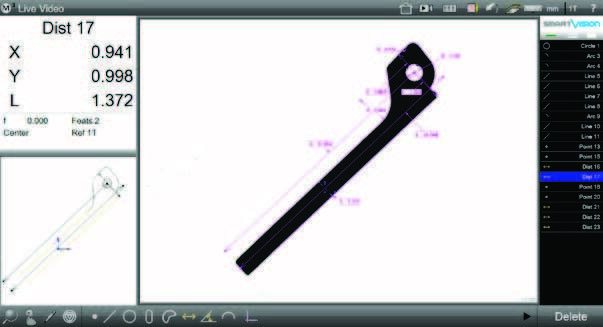 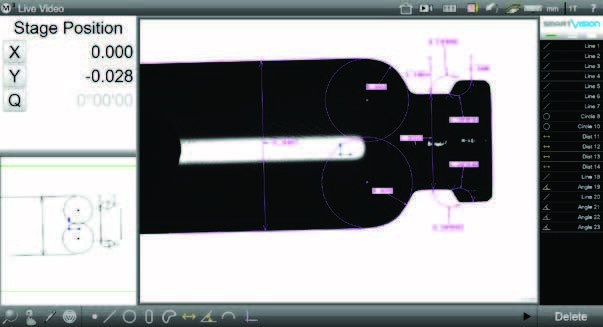 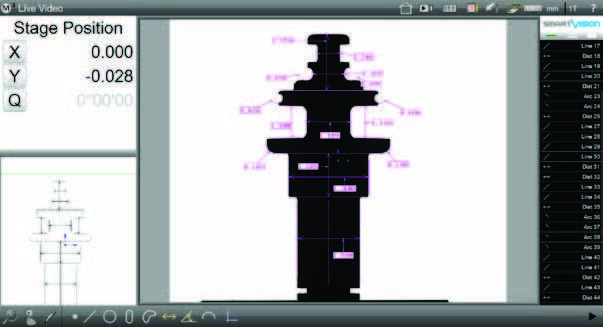 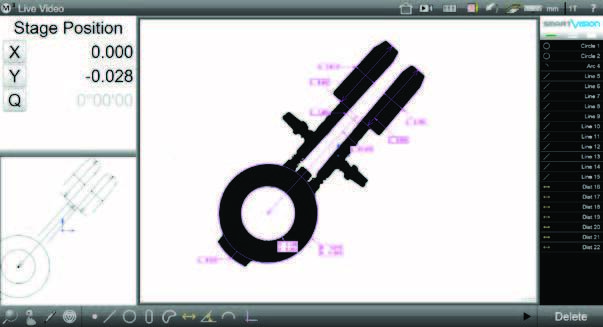 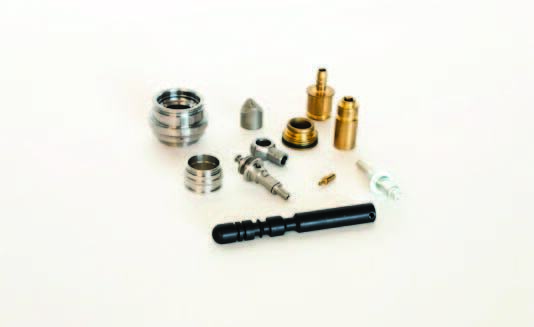 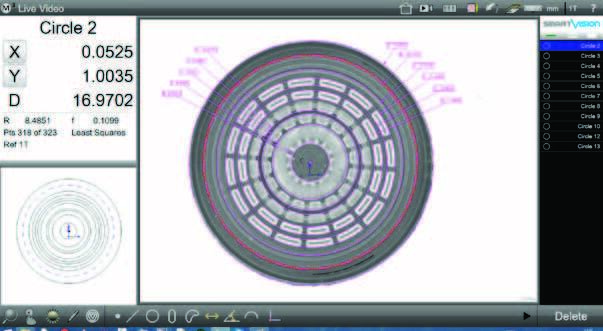 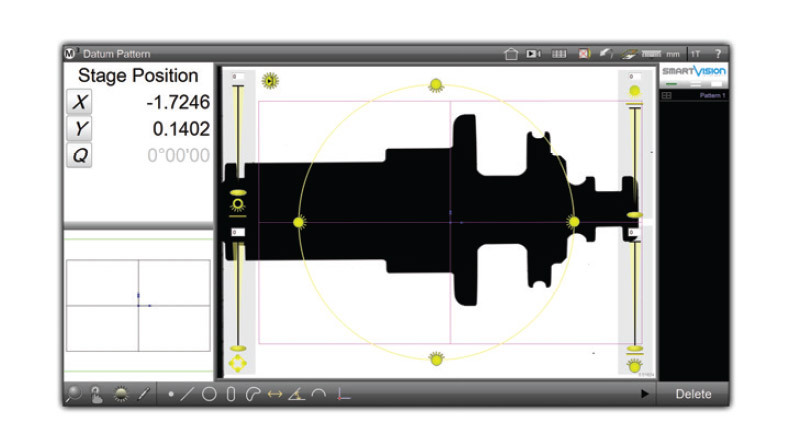 Revolutionary digital evolution of traditional profile projector and micrometer caliper, it allows to check an unlimited number of quotas per item in just few seconds, with no need for part alignment, no manual collimation nor focus and without any moving part inside the equipment. 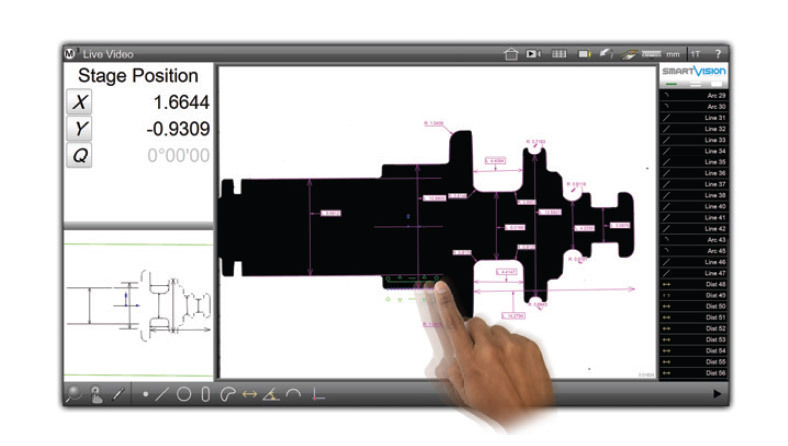 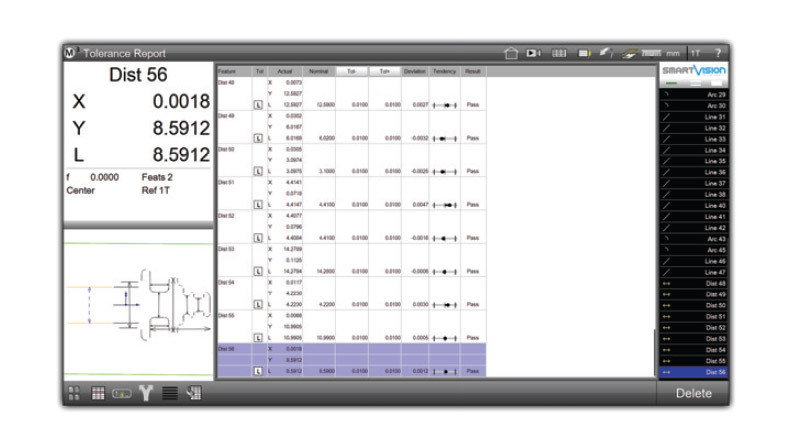 Smart Projector provides objective and repeatable measures and signals a simple Pass / Fail semaphore output, with no contribution nor interpretation by the operator, ensuring a full automatic gauging and reporting of all checking activities in compatible excel files (csv, tsv, txt), prints (or pdf) and image files. 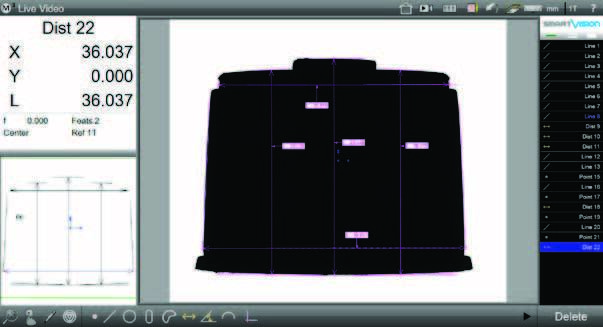 SmartProjector is a fast, compact, rugged, static, easy to use and easy to program equipment, designed for harsh environment and heavy duty cycle use.